The Aurora Trio will perform Malcolm’s Harp Trio at Crowborough Arts on March 3, 2019. 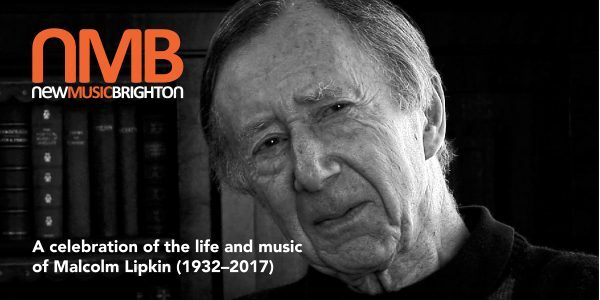 A memorial concert for Malcolm Lipkin was held at St Anne's Church in Lewes on 6 October, 2018. Organised by New Music Brighton, it featured a range of chamber pieces by Malcolm, including the rarely performed Five bagatelles for oboe and piano. A recording of 'The Journey', written for recorderist John Turner in memory of composer John McCabe will be released in June 2018 on the Divine Art Records label. Another piece, In Memoriam John McCabe, was released earlier in the year and the CD received a very positive reception. Reviews can be found on Music Web International and in Gramophone.